Fulfilling the customers’ diverse wishes and requirements, we are engaged in providing a superlative assortment of School Toilet. We, as a Manufacturer and Supplier, strive to present the peak quality available in the market. 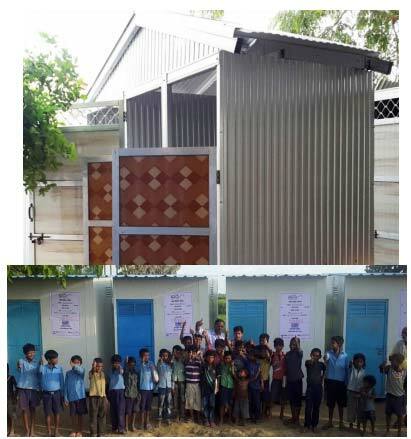 As per the requirement of customers, we can design and install school toilet in an assortment of cladding options such as PUF panels/ Zincalume sheets/ CFB Boards/ Sandwich panel. We make every effort to keep up the quality we are celebrated for.